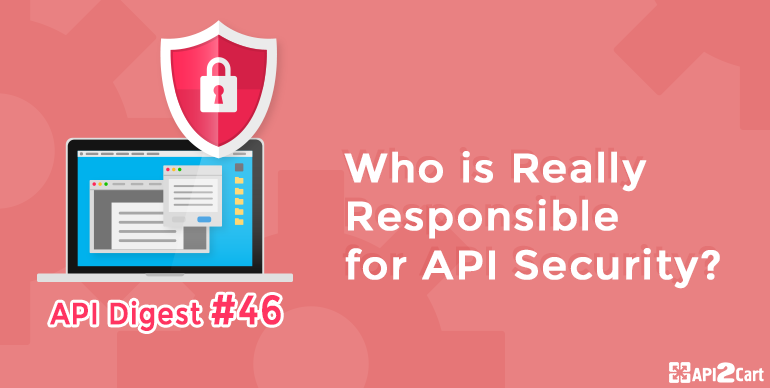 API Digest #46: Who is Really Responsible for API Security? It has been 2 weeks since API Digest #45 came out. Wondering what the API community has been up since that time? Read our new portion of fresh API news and articles to learn: the difference between an API and an SDK, RESTful API design essentials, that all SOA developers should know, how to bind all your API tests together, what upcoming web API events to visit, and more. APIs are the foundation of a Digital Business, but how to amass just the right APIs in critical mass? Here are 11 bits of advice by Laura Heritage to help your company transform your IT staff’s SOA experts into API superstars. Wondering what the difference between an API and an SDK is? Kristopher Sandoval’s article makes it crystal clear. Peter Daisyme offers you to take a deeper dive into the technology that's powering your business. Read his Tips For Improving Your Business API. Application programming interfaces (APIs) are the backbone of the digital world, and as such, API security needs to be tight. Sue Poremba shares her thoughts on API Security. And finally, Upcoming Web API Events, maintained by Matthew Reinbold. For more API news and insights, read API developer weekly #114 by Keith Casey and James Higginbotham. P.S. : If you are interested in API2Cart and have any question, schedule a consultation with our representative or test how it works.